A radical new method of producing drug molecules, which uses downloadable blueprints to easily and reliably synthesise organic chemicals via a programmable 'chemputer', could be set to democratise the pharmaceutical industry, scientists say. 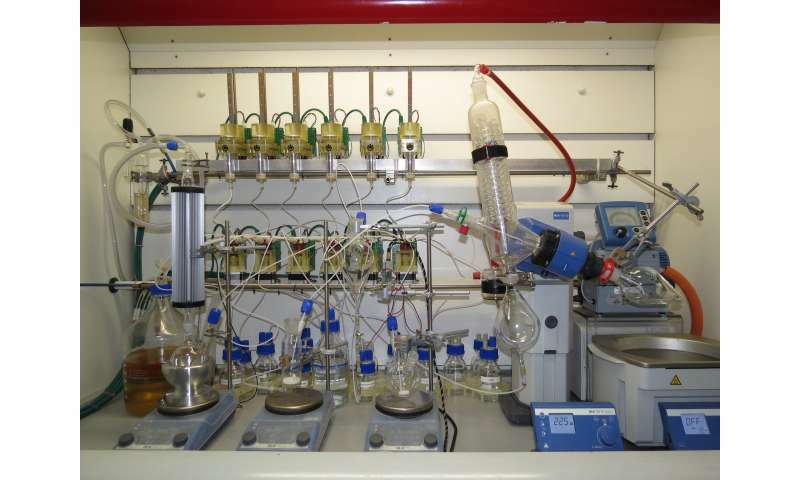 In a new paper published online in the journal Science, researchers from the University of Glasgow present for the first time how synthesis of important drug molecules can be achieved in an affordable and modular chemical-robot system they call a chemputer. While recent advances in chemical production have allowed some chemical compounds to be produced at laboratory scale via automated systems, the chemputer is underpinned by a new universal and interoperable standard for writing and sharing chemical recipes, developed by the University of Glasgow team. The key was to develop a general abstraction for chemistry that can be made universal, practical, and driven by a computer program. The researchers claim the ability to use a universal code will allow chemists all round the world to convert their recipe into digital code, allowing others to share and download recipes similar in a similar way to music is today on iTunes or Spotify. The chemputing approach was designed and developed by Professor Lee Cronin, the University of Glasgow's Regius Chair of Chemistry. Professor Cronin said: "This approach is a key step in the digitisation of chemistry, and will allow the universal assembly of complex molecules on demand, democratising the ability to discover and make new molecules using a simple software app and a modular chemputer. "Making recipes for drugs available online, and synthesisable via a compact chemputer system, could allow medical professionals in remote parts of the world to create life-saving drugs as and when they are required, for example, or researchers to easily share newly-developed drug molecules for innovative treatments. The potential applications are enormous, and we're very excited to be leading on this revolutionary new approach to organic chemistry." In the paper, the team of researchers from the University's School of Chemistry demonstrate the potential of the system by producing three different pharmaceuticals in one robot system, simply by changing the software and input chemicals. They created the sleeping drug Nytol, seizure medication Rufinamide, and erectile dysfunction treatment Viagra in yields comparable to those achieved in traditional human-controlled synthesis. 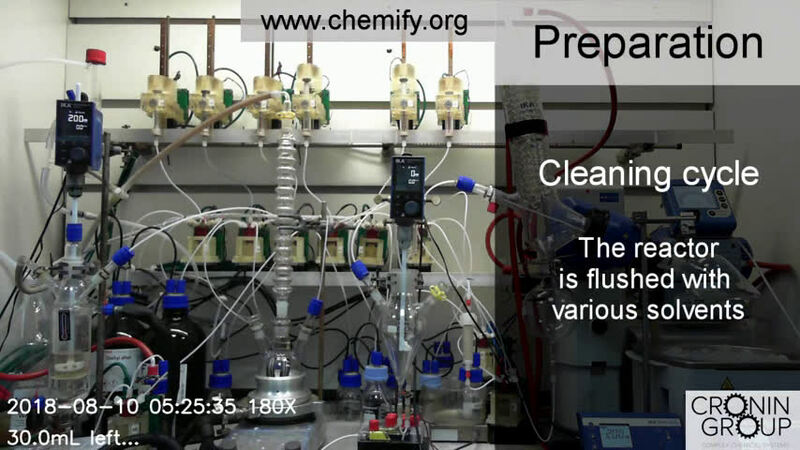 The desktop-sized chemputer itself draws raw chemical materials in liquid form into and out of a series of modules capable of performing the operations necessary to complete a synthetic sequence. The modules developed for the system consist of a reaction module, a jacketed filtration set-up capable of being heated or cooled, an automated liquid-liquid separation module and a solvent evaporation module.